A growing body of evidence stipulates that the most significant obstacle in today’s parenting is that children are not allowed to go out of their way and adventure with the surrounding environment. As was noted in this essay on psychology, the fear of abduction has been one of the underlining factors that make parents to keep their children indoors (Riddall-Leech). Society is rapidly changing, and its influence on parenting is highly evident. Indeed, many American parents focus their parenting on the moral outrage of the child and depict it to be the only central factor that concerns the development of a child (Susanne Posel Investigative Headline News). Farrant et al. argue that in the 1990s children were allowed to play outside with their friends, ride bicycles and walk on the streets freely and parents did not worry about it. However, in today’s society, child freedom depicts to have undergone a profound transformation. While in the past children enjoyed much freedom, currently, parenting has drastically changed, and parents force their children to stay indoors. Currently, children are raised under harsh conditions and rules that deny them their autonomy. As such, parents have to understand the importance of giving their children freedom of playing outside and limit the excessive control of their lives. The social media has emerged to be a fundamental impediment to socialization in children. When parents force their children to stay indoors, they tend to turn to social media as a way of socialization. A child who grew in the 90s would attest to the importance of allowing children to play outside. Many of them would spend hours exploring places and meeting new friends. Currently, kids are brought up in the anti-social environments and thus use social media as a way of socialization. Certainly, this prevents many youths from developing their interpersonal relationship skills. The use of the social media has weakened the bonds of face-face interaction and made people lose virtual reality with themselves. The attention that is directed to the social media has seen individuals pay little consideration to themselves and the people around them. Suggate et al. mention that the current parenting raises a societal alarm and will culminate into fundamental problems if left unaddressed. The social media has made teenagers to develop challenges with their realities. Suggate et al. go further to elucidate that the world is witnessing the detrimental impacts of the social media through the continued cases of poor interpersonal and socialization skills reported in many youths. Outdoor activities are necessary as they help in the development of cognitive, social, physical and emotional skills. According to Foorman and Dombek, the experiences encountered while playing outside develop the motor skills as well as offering sensory stimulation to the brain and thus improving the child’s cognitive level (Foorman and Dombek). Playing with others outside is an essential factor in modeling the child’s developmental processes. It shapes the environmental identity of children and guides the coordinating activities. Undoubtedly, this gives the child a chance of enhancing his or her skills in making viable decisions in life. 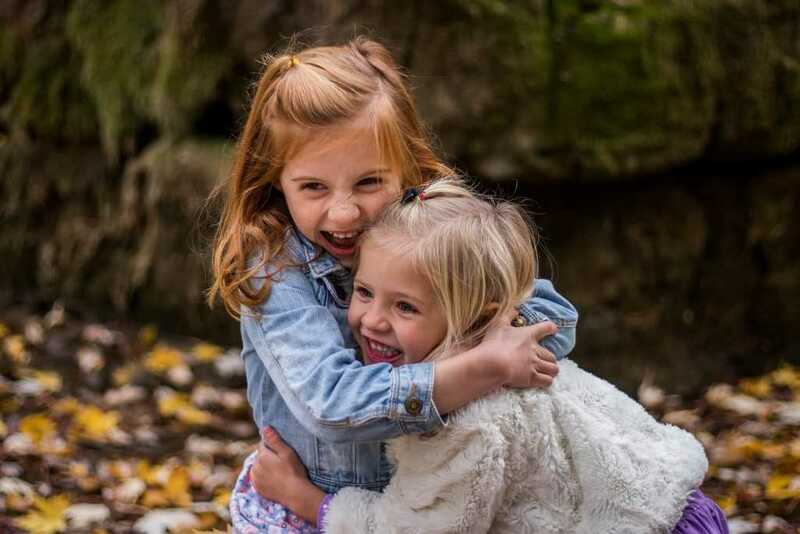 Children’s Campus asserts that “Young children are egocentric by nature, having them interact with other children in a face to face setting helps your child naturally come out of that phase” (Children Campus). According to Kendrick et al. “Sharing, setting boundaries, and problem-solving all come from socializing and interacting” (Kendrick et al.). This makes the child less egocentric and hence comes to understand that sharing is vital in life. This also develops the social skills. In fact, the child develops skills on how to solve and cope with conflicts in life when he or she engages in outside play with friends. Notably, freedom to children helps in fostering an opportunity to develop special connections, creativity, and emotional growth. For this reason, every parent should know that a child’s freedom does not only improve the motor skills but also impact on the overall health. Additionally, socialization in early age develops a sense of confidence that children carry over into their adulthood. They develop amicable ways of solving stressful situations. For example, during a job interview confidence is usually one of the key factors employers look for in a worker. Trends in the job market show that many employers receive many applications for any job opening. Arguably, having self-confidence enables a person to have the ability to sell his or her skills and convince the interviewer that he or she is the best and should be hired. Additionally, self-confidence helps in maintaining healthy relationships in a person’s life. Self-esteem makes one believe in his or herself. Moreover, there are also other skills that are acquired from being given a sense of independence at an adolescent age. According to Learningrx, children ages 11 and older “are able to use logic to solve problems, view the world around them, and plan for the future” (Learningrx). Children that nourish these cognitive functions at an early age sharpen those abilities and can utilize them later in life. For example, a child that doesn’t have very much social freedom and spends most of his or her time around their parents does not get to learn how to handle or solve problems that may arise in a diverse environment. Moreover, Farrant et al. designate outside play aids in the development of cognitive level. They stipulate that “to learn about child development is to learn about cognitive flexibility.” Certainly, children acquire knowledge outside their houses and change their reasoning capacities through engaging in vigorous activities (Farrant et al.). Children show intense reactions to external stimuli when playing. A child is able to aggressively explore the surrounding environment, and thus shape their knowledge and critical thinking. Similarly, the intelligence level enhances and impacts on the cognitive development. Primarily, the child learns ways of cultivating concentration while playing and thus influence the cognitive growth. For example, when I was a kid one of my favorite things I liked doing was to ride my bike through a car dealership that was up to the street from my house. I had a huge fascination for cars, and I would often try and see if one of the car doors were left open so I could sit inside and imaging I was driving the car. I started practicing and pretending that I was driving it and this aided on my cognitive level as well as increased my confidence with cars. The importance of providing children with the freedom to play outside cannot be overstated. Outdoor play is critical in the developmental process of a child including emotional, cognitive, social and physical aspects. The child learns to handle complex issues in life and develops amicable solutions to pressing matters. However, today’s parents do not understand the benefits of giving children independence. Societal norms have put much pressure on parents and forced them to believe that the outdoors are unsafe for their children. Evidently, the only way kids will learn how to deal with society, and its many problems is by making mistakes and learning to acknowledge those mistakes. Also, any form of unwanted behavior in a child such as being self-centered, quarreling and bullying is identified and tamed in early age. Thus, parents should grant their children the freedom to play outside and socialize with their friends if they wish to develop them in all spheres of life correctly.